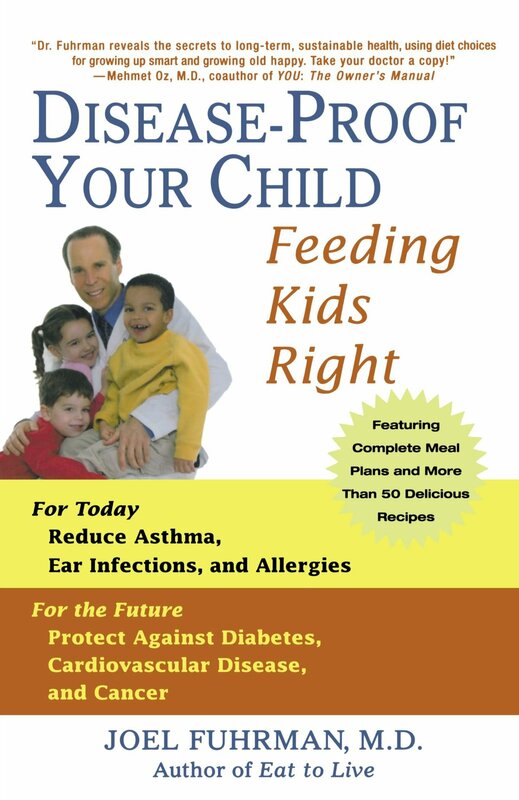 If I had to choose one book to recommend to parents, it would probably be Disease Proof Your Child | Feeding Kids Right by Joel Fuhrman M.D. Especially for those who are on the fence about raising your child on a plant-based diet, this will push you over to the vegan side of things without sounding righteous or gimmicky. He is a physician and father of four children, so he writes not only from a scientific standpoint, but also from the heart. I’m not saying that this is the cure-all, but if you knew that you could reduce the chances of your child struggling with obesity, medical problems, and/or diseases, why wouldn’t you?! I’m a firm believer that knowledge is power! There is also evidence that shows how diet and a child’s development go hand in hand. When you start your kids off right with a “nutrient rich” diet and stay away from high processed, sugary, fried foods – you’re setting them up to be healthy eaters and reduce their chances for the diseases that our country is so ridden with. I can personally attest to the benefits of a plant-based diet – I have watched those struggling with their weight and health improve drastically. Same thing goes with the standard multivitamin – they usually contain folic acid. Especially for pregnant women, it is so critical to get the proper nutrition, but doctors are always pushing folic acid – which could be extremely dangerous to the unborn child. 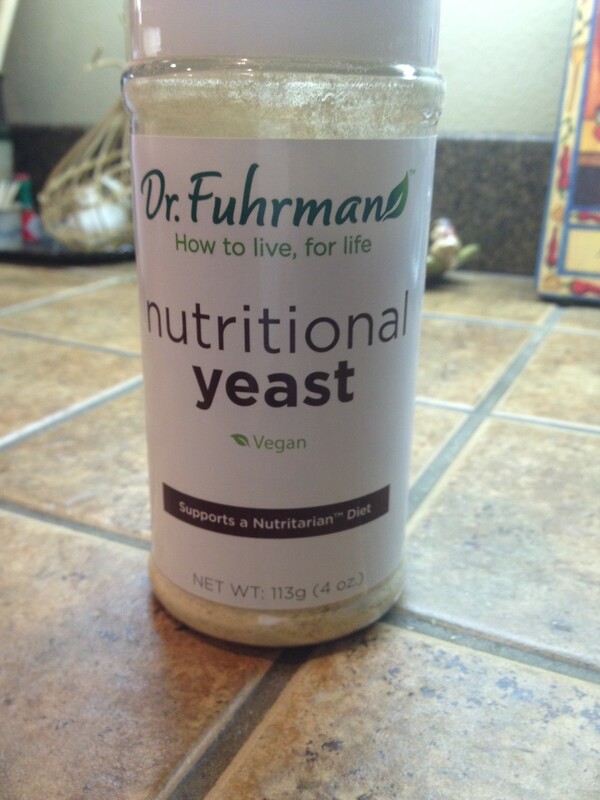 Through Dr. Fuhrman’s website, you can order vitamins for the whole family (men, women, children, prenatal). 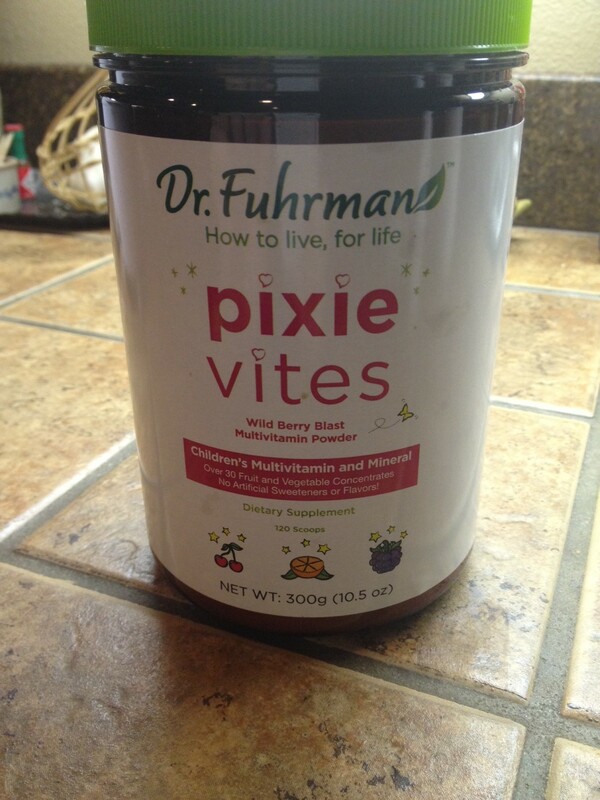 This is where we order Willow’s vitamins Pixie-Vites – it comes in powder form so we sneak it into her water or smoothies. Organic Mung Bean Fettuccine (packed with 25 grams of protein per serving) – we’ve served it with marinara sauce and cashew cream sauce. Chocolate Brownie Date-Nut Pop’ems – we like to make our own, but these are great in a pinch!
. Every “book of the month club”, “PTA”, and any group or politician involved with school lunches should take note.